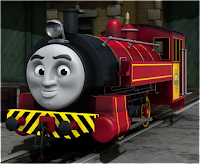 Part of the Search & Rescue Team, an engine with water cannons and she's very friendly. 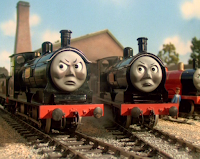 Twin Scottish engines, I've not seen them on the episodes my son has been watching, but I remember them being quite frustrated and funny. 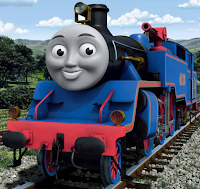 The manager of The Sodor Steamworks, who keeps all the other trains going. 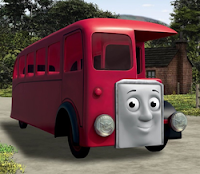 Thomas' friend, a bus that runs around Sodor and often bumps into the trains. 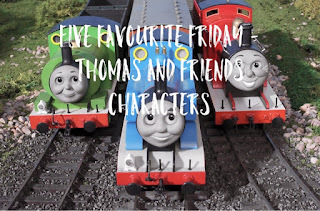 Have I included your favourite Thomas & Friends characters? If not leave me a comment below as to who they are! 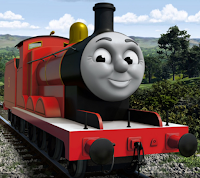 You can see Nikki's selection on her blog, Just Around The Riverbend, and she has chosen 'things to do in Shrewsbury' (our home town) for next weeks post.